Embark on the legendary Indian Pacific as you travel from the harbour city of Sydney to the 'City of Churches' Adelaide. Marvel at the beauty passing by your cabin window, the magnificent Blue Mountains, rural countryside, tough mallee scrub home to the outback town of Broken Hill and onto the fertile green surrounds of beautiful Adelaide. Your friendly driver will pick you up in the comfortable air-conditioned luxury coach before sharing experiences, fascinating facts and enchanting stories in the on-board full commentary throughout the morning. Today see Victoria Square (heart of Adelaide city), Gouger Street (restaurant cafe strip), King William Street's famous boulevard, The Terraces (4 terraces that separate the city from its greenbelts) and Adelaide's magnificent parks, gardens and greenbelts. See River Torrens with its delightful garden banks, Parliament House, State Library, Trinity Church (Adelaide's oldest church), fashionable Hutt Street and stop at Haigh's Chocolates to enjoy complimentary tea or coffee accompanied by fine Haigh's chocolates (Haigh's unavailable on Sundays). We then travel to the seaside town of Glenelg where you can walk along Jetty Road, browse in the shops or simply relax on this well-known beach. See Beehive Corner at Rundle Mall, Adelaide Oval (one of Australia's most notable cricket grounds and houses the Bradman collection), the quaint suburbs of North Adelaide; O'Connell Street (restaurants and trendy shops), St Peter's Cathedral, Colonel Light's Lookout on Montefiore Hill (spectacular views over Adelaide). Enjoy some free-time this afternoon to explore Adelaide and some of it treasures at your own pace. Coach Tour with Hotel Pick Ups, Tea, Haigh's Chocolates, Overnight Adelaide Accommodation. 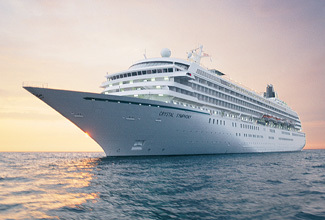 Board the luxurious Vasco da Gama liner at Port Adelaide, to start your circle Tasmania cruise with ports of call in Hobart, Burnie and Melbourne. Spend the days at sea making use of the stylish contemporary facilities on board the Vasco da Gama. Enjoy the relaxed classical style of cruising incorporating plenty of activities and a wide range of impressive entertainment options. See below for full details on your Vasco da Gama cruise. Today you will be personally met at your hotel by a DISCOVER AUSTRALIA representative and transferred from your central Adelaide hotel to Port Adelaide Passenger Cruise Terminal, board the Vasco da Gama and begin your cruise to Tasmania and Victoria. Meet and Greet Personalised Port Transfer, Dinner, Late Night Snacks, Overnight Accommodation on board the Vasco da Gama. Continue cruising toward Melbourne while enjoying the on board entertainment and day time activities of the Vasco da Gama. The ships attentive staff will ensure your every need is taken care of on this voyage along the South East coastline of Australia. With an abundance of onboard leisure facilities, you are spoiled for choice – enjoy a show, learn arts and crafts, curl up with a good book or burn some energy on the sports courts – it’s your choice. Tonight, as you dine in one of the many onboard restaurants, you farewell Melbourne and set sail across the Bass Straight to your second port of call – Burnie. Breakfast, Lunch, Afternoon Tea, Dinner, Late Night Snacks, Overnight Accommodation on board the Vasco da Gamma. Spend time cruising the spectacular River Derwent ahead of our Hobart port of call. Hobart is blessed with an abundance of natural beauty, this charming city is situated on the beautiful Derwent River and has a well-earned reputation as a world-class destination for food and wine lovers. The historic and scenic capital of Tasmania is Australia’s second-oldest city. Marvel at Hobart’s rich colonial heritage which is evident in its beautifully preserved Georgian and Victorian era buildings. You'll be beguiled by the renowned Salamanca Place, the vibrant, waterfront heart of Hobart with its bars, restaurants and exciting shopping opportunities. The city's breathtaking backdrop is the rugged Mount Wellington contrasting with the cobalt waters of the city's waterfront right out to the exquisite Peppermint Bay. 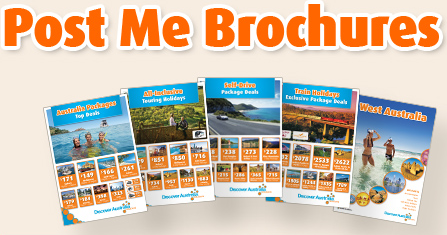 Choose from a range of optional shore excursion to explore this beautiful city or explore Hobart on your own. The choice is yours. If you do not wish to disembark, you can choose to stay on board make use of the wide range of facilities aboard the Vasco da Gama. Breakfast, Lunch, Afternoon Tea, Dinner, Late Night Snacks, 2 Nights Accommodation on board the Vasco da Gama. We leave the picturesque Hobart behind us and head out to open waters for your final nights of cruising the southern waters of Australia, to your final port of Adelaide. Relax on board the Vasco da Gama and make use of those free onboard activities and facilities before reaching land. This morning you will return to Adelaide, and after disembarking the Vasco da Gama, you will be personally met by a DISCOVER AUSTRALIA representative and transferred to the airport to meet your flight home. 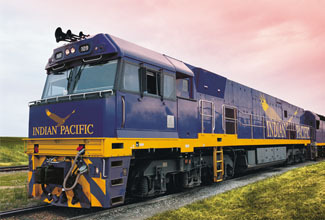 For customers travelling from Perth, the package is 9 days in duration, travelling Adelaide to Perth on the Indian Pacific and staying 2 nights longer in Adelaide. Relax in your private cabin on board the Vasco da Gama while you sail and enjoy FREE full board cuisine with a selection of international cuisine, afternoon teas and late night snacks, self-service tea and coffee and Captain’s Cocktail Party (selected sailings). Experience FREE big show entertainment, cabarets and classical interludes, a range of FREE daytime activities and leisure facilities. Choose from a range of FREE daytime activities, leisure facilities, FREE guest speaker and arts & crafts (selected sailings) and use of the onboard library and card room. Enjoy FREE use of sports courts and gymnasium, FREE use of spa amenities. Enjoy meals and FREE flexible dining at the Waterfront Restaurant, Waterfront Mediterranean and Waterfront Eurasia restaurants. Your package includes an inner cabin but can be upgraded to a range of cabins. You will be personally met by a DISCOVER AUSTRALIA representative and transferred from Sydney airport to the Indian Pacific railway station to begin your journey to Adelaide. On arrival in Adelaide you will be transferred to your Adelaide hotel. You will be met at your hotel by a DISCOVER AUSTRALIA representative and transferred from your hotel to the Vasco da Gama and from the Vasco da Gama to the Adelaide airport for your flight home. The Indian Pacific to Adelaide with Tasmania & Victoria Vasco da Gama Cruise is very popular. Many dates book out well in advance, please book soon.